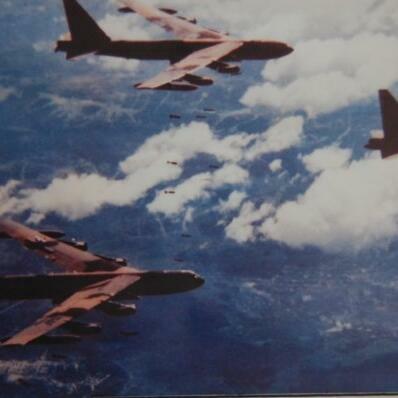 Audioboom / Vietnam 1972, Mesopotamia 2016: Limits of the B-52 Empire. Michael Vlahos, Johns Hopkins. @JHUWorldCrisis. #Vietnam 1972, #Mesopotamia 2016: Limits of the B-52 Empire. Michael Vlahos, Johns Hopkins. @JHUWorldCrisis. “…Talk to those involved in the advise-and-assist mission in #Iraq and #Syria and they will tell you the reality of a war that knows no front lines. American forces are highly trained, exceptionally lethal, incredibly effective, and determined to accomplish their mission. But their nation, with its attention elsewhere, barely has a shadow of an idea about what these forces have been asked to do. The special operators in combat and their commanders back home are trained to be silent warriors. So America as a nation has come to trust them, yet hide behind the idea that special operations and drones can achieve any objective nearly cost-free, and certainly without disturbing the general public’s way of life. “But this task is not anything near cost-free. Ask the mourning family of Petty Officer #Keating. “Compared to the war reporting that flooded from the #IraqWar last decade, precious few American journalists today are on the ground or near front lines. The exceptional few do tremendous work that is rarely read or seen widely enough to break through the noise of this media era. They are not afforded the protection of the U.S. military as embedded reporters and there will be no brigades combat teams to roll with into #Mosul. Most of us must watch the war from across an ocean, if we can find it on cable TV or 5-inch phone screens.